When you call people through the OpenPhone app, they will see your OpenPhone number on the caller ID. They will also see the city the phone number is registered with. In the example here, it's San Francisco. If you have multiple OpenPhone numbers in the app, you can choose which number to call from. That number will show up on the recipient's caller ID. 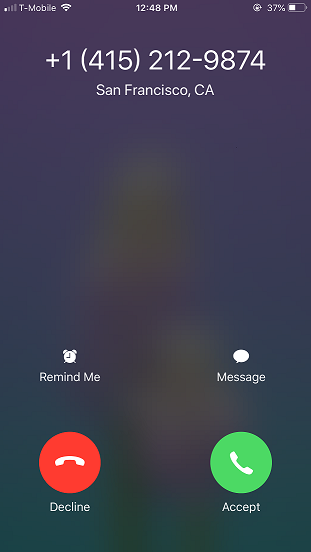 The person you call doesn't need to have the app installed, they'll receive a call just like they normally would. Same applies to text messages. Don't have an OpenPhone number yet? Get started for free today!